Linley was the last bassist for the late, great keyboardist Joe Zawinul, and has been wowing audiences around the world with his incredible musicianship and deep groove. A master of electric and upright bass as well as piano, Linley's sound and style have made him one of the most sought-after sidemen in the world. He's a composer and arranger for many artists on his native Maurice Island. Linley was the last in a long line of great bassists (including Jaco Pastorius) to perform and record with the late, great keyboardist, Joe Zawinul, who passed away in 2007. Linley has performed with the Paco Sèry Group, Antoine Hervè, Michel Portal, Francois Jeanneau Quartet, Francis Lassus Nguyen Lè, Louis Winsberg, Karim Ziad, Cheb Mami, Mino Cinelu and Richard Galliano. When asked what he loves about Markbass, Linley's thoughts turn first to the man behind the company. "I love the guy. I love Marco." Then Linley talks sound. "I have a natural sound on Jazz bass with these amps, but at the same time I can have an active bass sound without an active bass. Markbass is the best for me. It gave me my own identity. I couldn't get this sound from the other amps I?ve tried? With Markbass I really have my own thing." 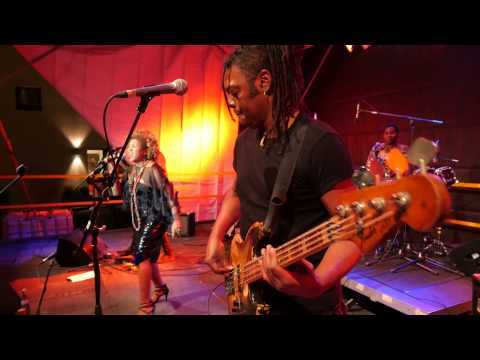 The Markbass artist of this week is Linley Marthe! July 3, 2017, 10:29 a.m.
Hadrien Feraud, Michael Manring and Linley Marthe have all been chosen by top jazz critics as some of the best jazz bassists in the world, in Downbeat Magazine's 57th annual Critics Poll. It Don't Mean a Thing - Linley Marthe & Monika Njava.